Adorned with metal art, this exquisite masquerade eye mask has it all. 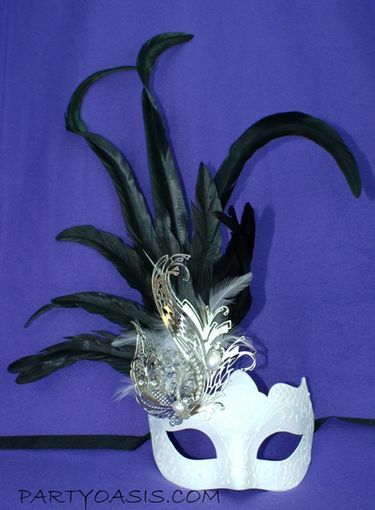 Hand molded plastic mask with intricate design in white with a plume of high end feathers. Can be worn with black ribbons provided or displayed as a piece of venetian art.